It has been a busy summer in my house with school holidays and a lovely flow of friends from overseas coming to visit us in our new home in New Zealand. Not much time for blogging unfortunately but plenty of time cooking and entertaining so I do promise plenty more recipes coming your way. I always love to share a few words and a recipe on Valentine's Day. Putting aside the commercial element of Valentine's Day I think it is the perfect opportunity to reflect on the love in our lives, and I'm not just talking about a partner here. For me it is time to reflect on WHAT I am loving in my life right now and then making a conscious decision to do more of that. It is also a time to think about WHO I am loving in my life; who brings me joy, raises my vibration and makes me feel truly happy - I want to connect to more of these people in my life. Finally I ask myself - HOW can I bring more love into my life? How can I love myself and others more and live a life I truly love everyday. Yes lots to think about! The amazing thing about these questions is that when you start to ask yourself about love and attracting love into your life you will be given more signs than you know what to do with. My life has changed dramatically in the last 6 months: it has slowed down, I've been connecting deeply with my community, my family and my friends in a very fulfilling way. To my surprise I am really loving my life (even though I resisted leaving my old life so much). Minutes later I spotted two butterflies flying together (they were actually mating). Two butterflies love making - well surely that's the second sign? 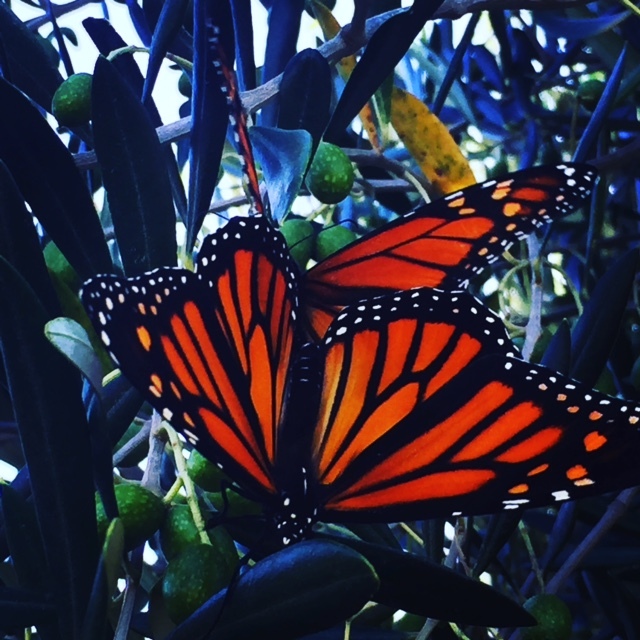 As I was trying to photograph the mating butterflies in the olive trees (as you do) my husband crept up behind me and surprised me and the girls by coming home an hour early from work. I'll take that as sign three of love. What is my point here? Energy flows where intention goes. If you want more love in your life, start thinking about it more. 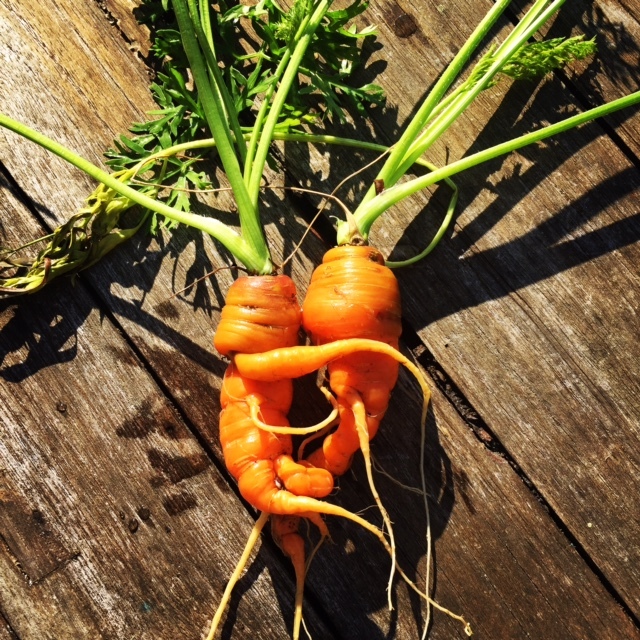 Start noticing little signs of love - they are everywhere, from butterflies to carrots. Talk about positive news more and the things you love in life. Reconnect with old friends, make new friends, read less negative news and choose action over complaint. Go to community events in person instead of online, spend less time on Facebook and more time practicing face to face time. Buy less and make more, cook slowly with love, nourish yourself and your family everyday. Play with your kids instead of playing with your phone (have some real fun and laugh out loud). Talk to your partner about your life instead of scrolling through someone else's life. Love and connection = joy. If you want to discover how to bring more love into your life and create a life that is full of joy I would love to work with you one on one. I am hugely passionate about working with people to to design their ideal life and then bring it to reality. If this resonates with you, just drop me an email me at simone@nourishinghub.com.au and we can set up an introductory coaching session. This is the perfect treat to enjoy with your loved on on Valentine's Day this year. 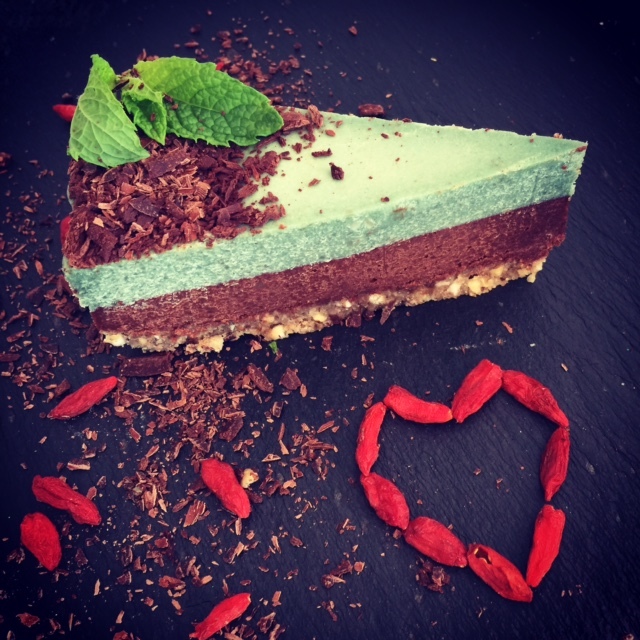 This raw vegan cheesecake is a delicious decadent dessert that is nutrient dense and is gluten free, diary free, refined sugar free. I promise it is GOOD! Many people encounter odour, excessive sweating, rashes, redness and irritation from switching to a natural deodorant. This is generally not the product causing this but the health of your armpit. After many years of using antiperspirants, sweat glands get blocked and your system gets loaded with toxins, heavy metals and impurities with no outlet of escaping. 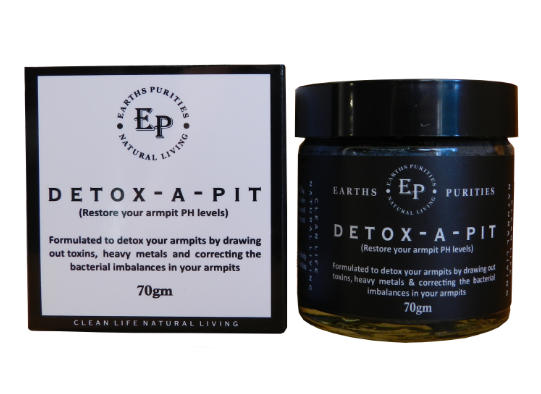 Earth Purities Detox-a-pit helps to draw out toxins from your armpit and corrects the imbalances in your armpits. This is my absolute favourite deodorant at the moment and I have been really putting it to the test. 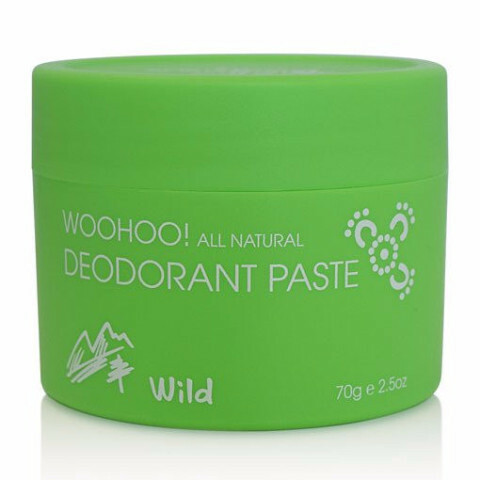 This WOOHOO Wild is designed for those looking for a natural deodorant that can withstand the test of the sporty woman (or man) and withstand those hot humid days. I have converted quite a few guest who have been staying with me. It REALLY works. Wishing you all much love on Valentines Day!